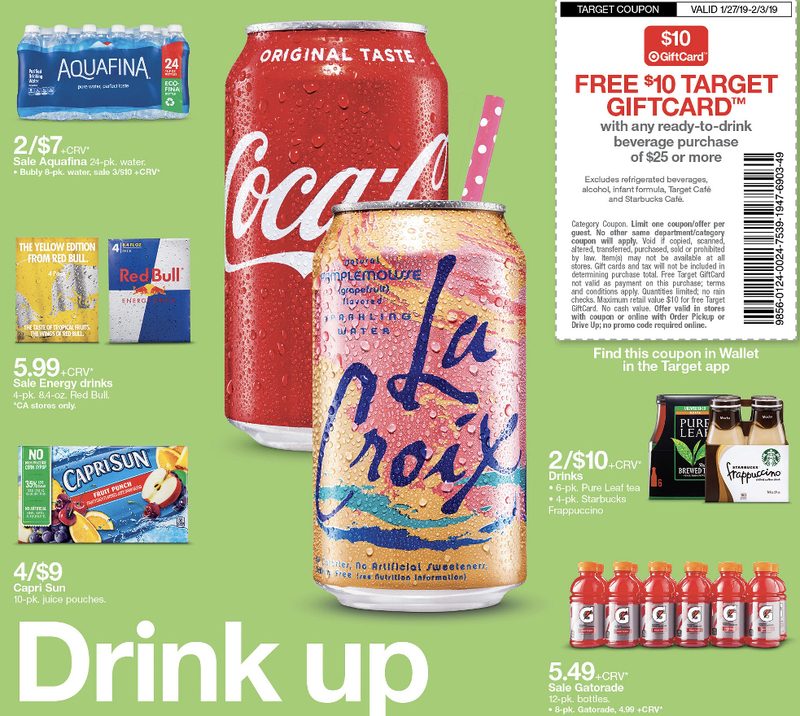 This week at Target- $10 Target Gift Card when you spend $25 on ready-to drink beverages! This includes soda, water, juices, etc! If you even just want to buy $25 worth of Target Brand water then you will end up paying $1.69 per 24 pack! You can grab all your Superbowl party beverages, you can grab your Capri Suns for your kids’ lunches- and more! Del Monte Veggie Fusions $.40 each at Target! Arm & Hammer Laundry Detergent Only $.99!!! 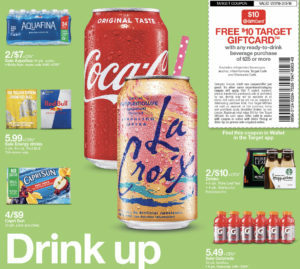 Shopping at Target This Weekend?? Here Are Some Deals to Be Ready For!